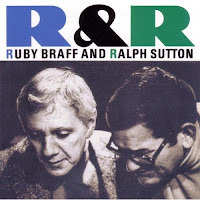 During 1979-1981, the great stride pianist Ralph Sutton recorded an extensive series of albums for the tiny Chaz label. 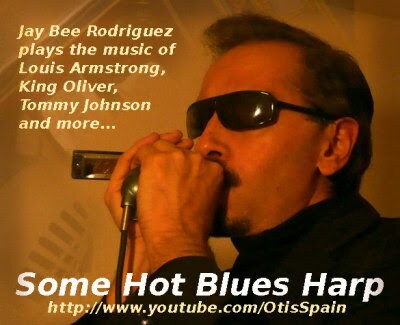 Included in the releases were a quartet set with cornetist Ruby Braff, bassist Jack Lesberg, and drummer Gus Johnson, and a duet project with Braff. All of the Sutton dates were elusive and out of print for years, until Chiaroscuro began reissuing some of these valuable sets. Braff and Sutton both had the knack of hinting at earlier greats while still sounding very much like themselves. In fact, those who are familiar with the cornetist will have no trouble identifying him within a few notes. Among the songs that are happily swung are such gems as "Shoe Shine Boy," "You Can Depend on Me," "Sunday," "I Would Do Anything for You". While never wandering too far from the melodies, the two lead voices consistently come up with plenty of fresh ideas and always show their enthusiasm and affection for the vintage music. Easily recommended to fans of small-group swing and trad. Dear friend I like this type of music but I am a total newbie. Your blog has overwhelmed me. I will use it to explore this field further.What should be the starting point? Not the album you posted above. Obviosly, I did my own favorites selection here (like always! ).